Dimensions : Ø 40 x H 42 cm - Cable: L 109cm max. Poetry in lights: Yanzi casts light in the form of birds sitting on ethereal perches. 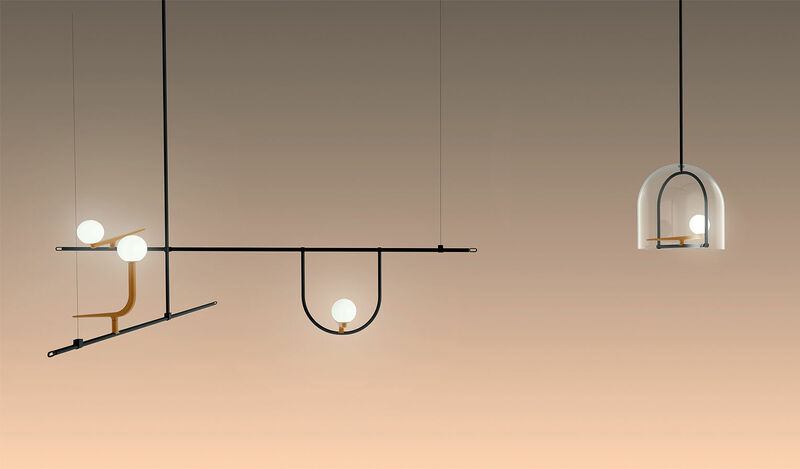 Both minimalist and graceful, Yanzi lamps are just like suspended sculptures, designed by the Chinese couple Neri & Hu. Hanging like slender mobiles, the lamps consist of stylised birds balancing on slim, sleek black metal perches. The birds are either free or enclosed beneath a transparent glass dome. The birds’ bodies, crafted from brushed brass, sit beneath a blown glass sphere that casts a soft light. Simple, ethereal shapes that appear to float freely in the air. 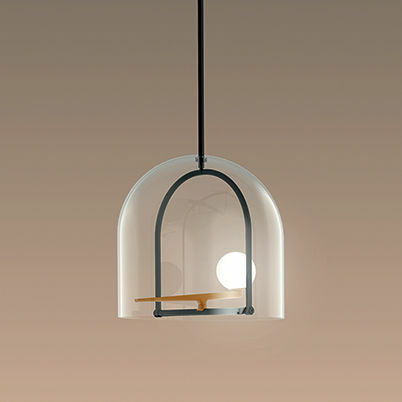 Designers Neri & Hu drew inspiration from an urban scene when designing the Yanzi connection, that of the many swallows populating the streets of Shanghai, perched on the rooftops, the edges of windows and on scaffolding. Yanzi is a delicate composition of graphic signs: tradition in symbiosis with innovation. The Yanzi lamps create illuminated landscapes casting an elegant and poetic light.